Click here for great bordine specials! Need the perfect gift? 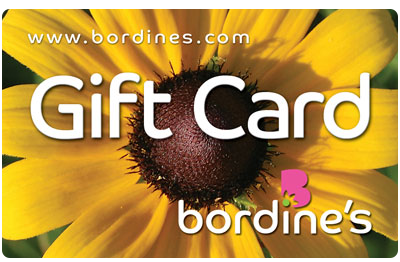 Think Bordine’s Gift Cards! Your plant-loving friends and family will sincerely thank you for the opportunity to select exactly what they want at Bordine's.